Pay less interest, pick a payment that fits your budget. We offer student loan refinancing that fits your budget. Get your rate estimate without affecting your credit score. When you refinance student loans, you consolidate your existing federal and private education loans into a single loan. This new loan does not have an origination fee and typically has a lower interest rate. You can often choose between a fixed or variable rate loan when refinancing. Student loan refinancing rewards your financial progress and can save you money over the life of the loan. Fixed interest rate loans often start with a higher interest rate, but that rate is locked in for the life of the loan. Variable interest rate loans typically start with a lower interest rate, but the rate can go up and down—along with your monthly payment. You can learn more about variable rate loans here. We’re proud to offer some of the lowest rates available. Refinancing student loans makes sense for many people if they are eligible. For starters, student loan consolidation (which is included in the student loan refinancing process) simplifies the management of your monthly payments. Refinancing allows you to consolidate both your federal and private loans, select a repayment term that makes sense for you, and often lower your interest rate. The entire application process is online, and you could have your new low interest rate loan in less than a week. Borrowers who refinance federal student loans should be aware of the repayment options that they are giving up. For example, Earnest does not offer income-based repayment plans or Public Service Loan Forgiveness. It’s possible to consolidate federal student loans (Federal Perkins, Direct subsidized, Direct unsubsidized, and Direct PLUS loans) with a Direct Consolidation Loan from the Department of Education, but this will not allow you to lower your interest rate and private student loans are not eligible. By analyzing information beyond your credit score, we can provide an instant rate estimate. You'll receive your final rate when your application has been approved. Our application gathers further information to fill out your profile—such as indicators of financial responsibility. Read our eligibility guide. We look at data other lenders don’t (like your savings, education, and earning potential) to offer fair, customized rates. Read more about what makes us different. If you’re approved to refinance, you can set your preferred monthly payment, based on your budget. Learn about our money-saving Precision Pricing. We’ve put together a library of essential resources (like how-to guides, comparisons, and calculators) to help you make better choices when it comes to refinancing student loans. And if you’re managing credit card debt too, check out our post on when to refinance it. And keep an eye out—we’re always adding more. 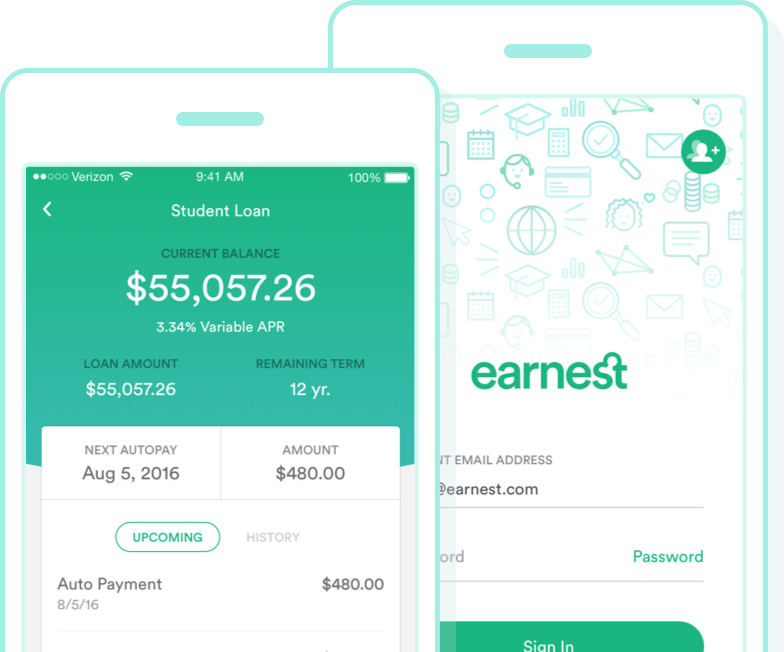 Who should consider refinancing with Earnest? We look for clients who have a strong history of financial responsibility, which can show itself in many ways. For example, some clients may have a limited credit history, but present healthy savings patterns and a career with strong earning potential. The sooner you refinance, the more you could save. The longer you hold your loan at a higher rate, the more interest you are accruing—even if you are in a grace period. That being said, you must be employed or possess a job offer to be eligible to refinance with Earnest. The more your financial situation has improved since you took out the loans originally, the better your refinancing offer will be. Can I refinance just my high-interest loans? Once you’re approved, you are automatically approved for the total eligible student loan amount listed on your credit report. 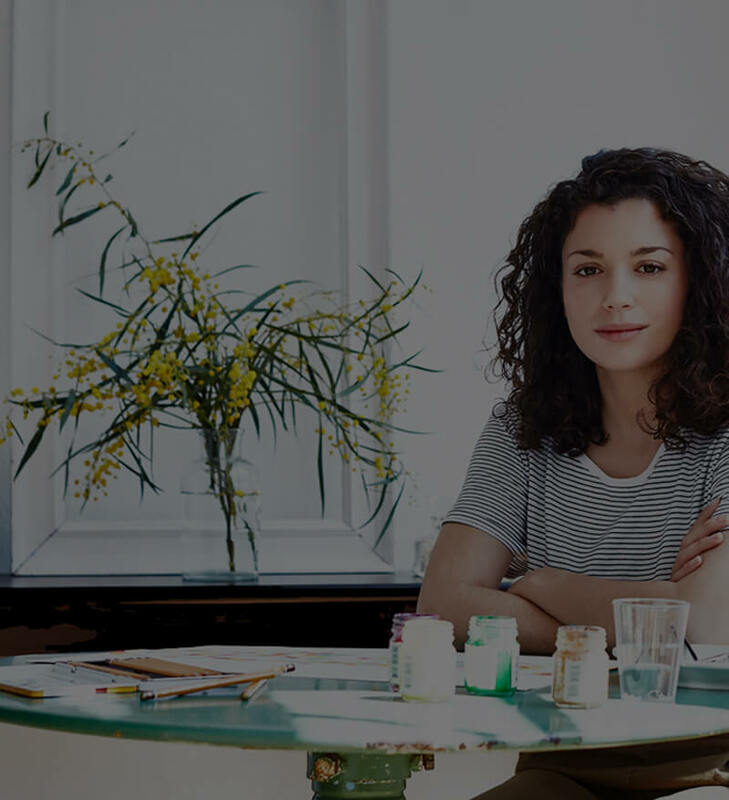 When you’re ready to accept your loan, you can choose to refinance less than the requested amount (as long as it’s above $5,000) or up to 105% of your approved amount. Absolutely. When considering refinancing your federal student loans, it is important to review the current protections and benefits you are granted with those loans, and understand which of those you may be giving up when refinancing with a private lender like Earnest.